Back in the day, throwing away bread was as close as it got to a sin, but nowadays we frequently do it just because we feel like we can afford the loss. Granted we don’t lose much by tossing one or two slices of bread that spent too much time before consumption, it doesn’t hurt to know how to breathe new life in it. By slicing it into small cubes and using it for topping stews and soups we find a new use for the aging bread, but if it is too late for that we can also grind it down and then add it to the pot soil. A more elaborate way of dealing with stale bread is to turn it into tasty desserts, such as bread pudding or homemade dog treats that look great on any platter. Feel free to add your favorite ingredients into the mix, but if it still doesn’t work out for you there is already the option of feeding it to birds. 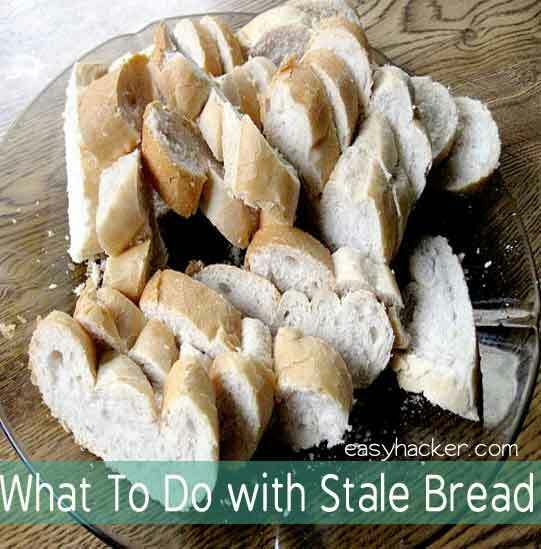 Granted a few of us thought of stale bread as suitable for de-greasing soup or for cleaning up the coffee grinder, it serves both purposes brilliantly. A short dip is more than enough for the bread to soak up the excess fat in a soup, while a couple of bread cubes have the ability of cleaning up even the dirtiest coffee grinder. All of these things can be done with a product that would otherwise end up in the landfill, so let’s all give stale bread a chance. Hit the link to read the full scoop.